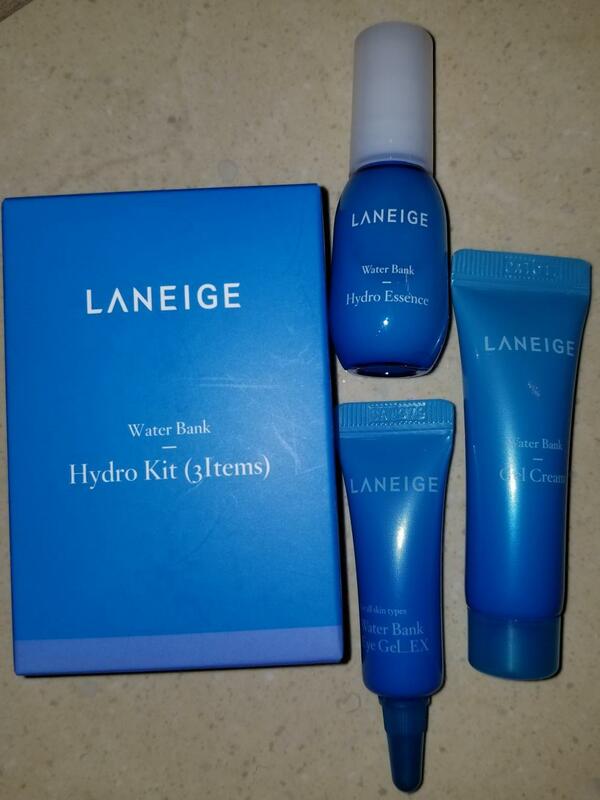 Radiant your Skin Care with the [Laneige] Water Bank Hydro Kit (Hydro Essence 10ml + Gel Cream 10ml + Eye Gel_EX 3ml)! we aim to provide you best korean products to take good care of your skin, including Cosmetics, Skincare, Moisturizer. Hydra Moisturizer online. - Mineral water makes your skin clear and moist. - Protects moisture from evaporating from your skin. 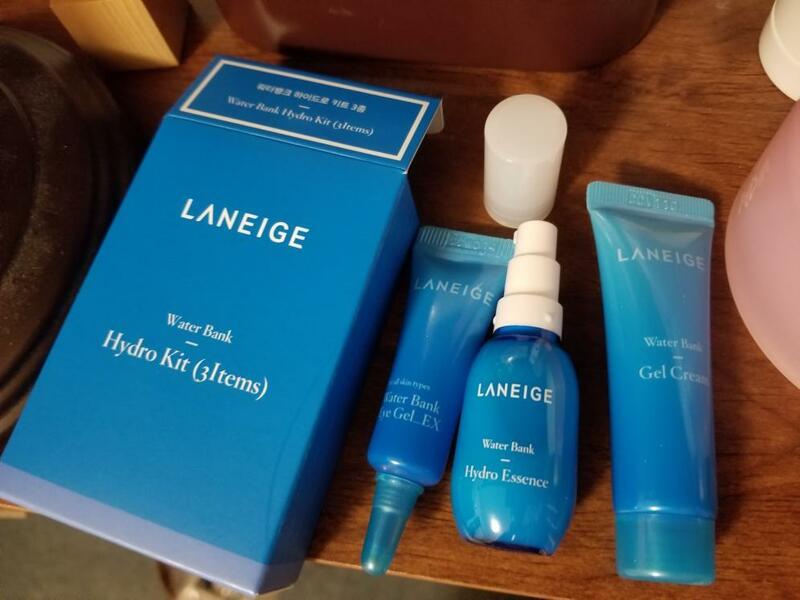 - Laneige Water Bank Gel Cream builds up a strong moisture barrier on the skin with hydro-ion mineral water that fills up the skin from deep inside. 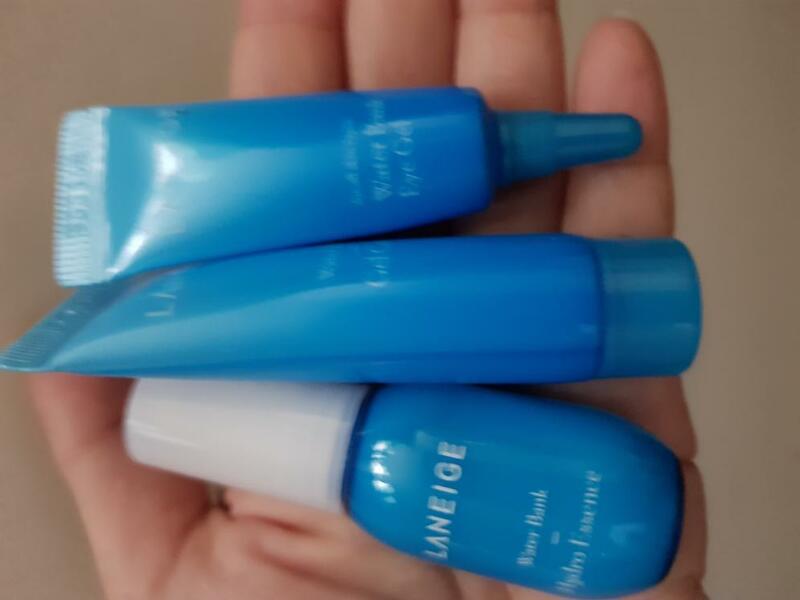 - A cooling eye gel to instantly address tired-looking eyes with the surge of weightless moisture. - After pumping 2~3 times, evenly apply on the inside and working outward. - gently tap to promote absorption into skin. - After using essence and eye gel, dispense a ginkgo seed-sized amount, apply equally on cheeks,forehead, and chin in dots, and spread. 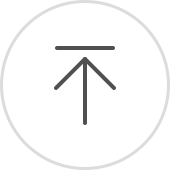 - Gently dab away the left over content of moisture to let skin absorb them perfectly. 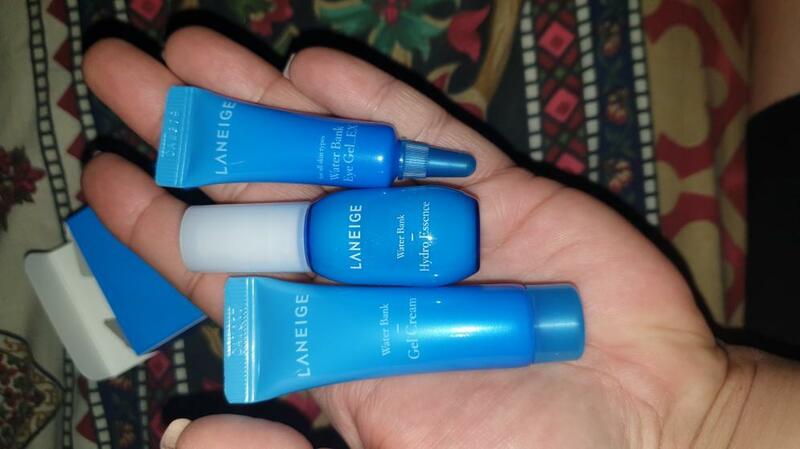 - After washing the face, evenly apply an appropriate amount around eyes. ane…@gmail.com I travel a lot and that makes my skin dry out. This is the perfect hydration kit I needed. Love it. Lok…@yahoo.com Very good and very hydrating! You don't have to put on so much so it will last for a good amount of time. 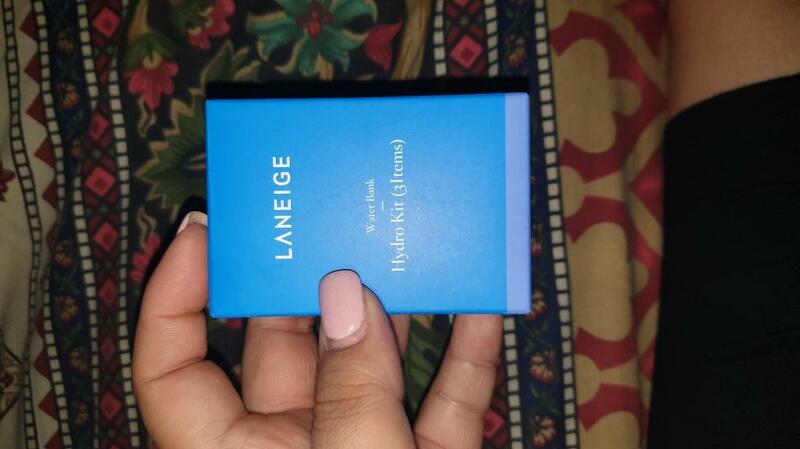 I bought this at a discounted price which was pretty good especially for this brand. dgn…@yahoo.com.ph Best for travels.. No sticky feeling when applied.